My second comment is to see if you could place a static aircraft right at the beginning of that unusable strip of asphalt. 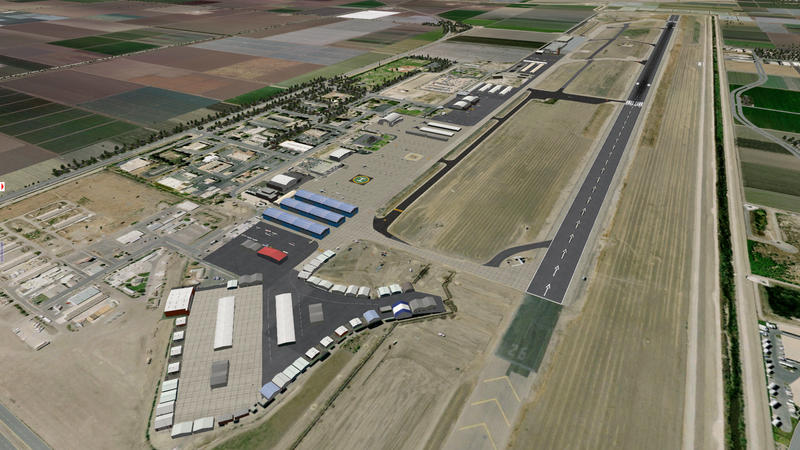 You'll see in the screenshot that your google earth overlay actually has that aircraft sitting right there. It's just an abandoned aircraft that was placed there a long time ago...I guess just for scenery? (maybe some locals can weigh in on exactly what it is). This would also help to cover up the google earth overlay where half of the plane gets cut off due to the xplane taxiway. Please don't take my comments personally- I think you did a great job. I'm just adding my $0.02 in case these things were overlooked. Thanks for the feedback, Kevin! Just loaded it up. It looks amazing. 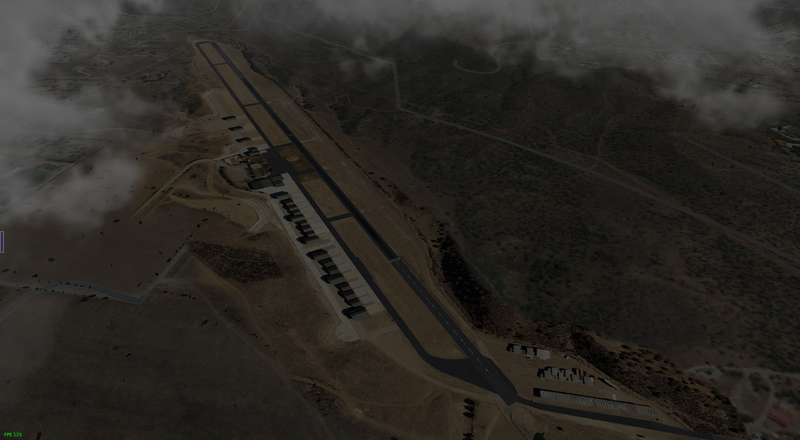 Really nice to have this airport and a bonus to have such great detail and features. Thanks a ton for this. And . . . what airport would be complete without the hangar call girl? Gotta love it. Look forward to L70. Just a note on KCMA. At first I was getting a message on startup that there was a problem loading the scenery. The log.text file showed that the package couldn't find flags_us_states - I had it, but it was looking for it to be in a folder named "lib". After I gave it a folder, I was able to see the California flag by the tower and didn't get the startup message anymore. Other airports typically require the Flags to be directly in the Custom Scenery folder like any other library. Thanks for the feedback, Rod! Weird stuff with the flag library: it could be that I have an old or different version of it on my system. Anyway I pushed an updated version of the scenery to the .ORG fixing the flag object issue and also making some other small tweaks/adjustments in the taxi signs, surfaces, lines and peeps.